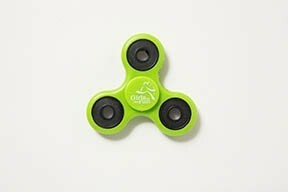 The hand spinner is perfect for reducing stress and boredom. The simple design features a plastic construction with three weighted outer circles for a spinning effect featuring the Girls on the Run logo in the center. It’s small size makes them easy to keep in a pocket or purse for convenient portability.